 Informationen zum Autor Anne Lise KjÃÂ¦r is Associate Professor at the Centre for European Constitutionalization, Faculty of Law, University of Copenhagen and Director of the international research network Reline for interdisciplinary studies in Language and Law. More recent and current research concerns cross-disciplinary studies of legal integration in Europe and combines theories of language, discourse, culture and law. Silvia Adamo is Assistant Professor at the Centre for Studies in Legal Culture, Faculty of Law, University of Copenhagen. Her research interests and publications revolve around migration law and citizenship law, including language requirements for migrants applying for citizenship, European Union law and the interaction between law and political philosophy on multiculturalism. 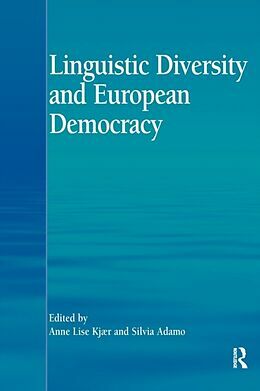 Zusammenfassung What role does linguistic diversity play in European democratic and legal processes? Is it an obstacle to deliberative democracy and a hindrance to legal certainty, or a cultural and economic asset and a prerequisite for the free movement of citizens? This book examines the tensions and contradictions of European language laws and policy from a multi-disciplinary perspective. 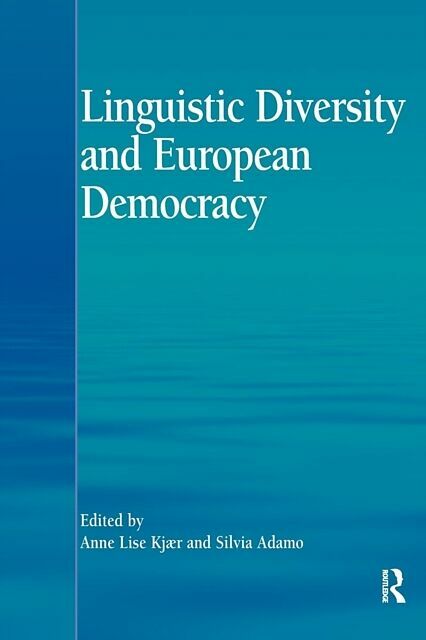 With contributions from leading researchers in EU law and legal theory, political science, sociology, sociolinguistic and cognitive linguistics, it combines mutually exclusive and competing perspectives of linguistic diversity. The work will be a valuable resource for academics and researchers in the areas of European law, legal theory and linguistics. Anne Lise KjÃ¦r is Associate Professor at the Centre for European Constitutionalization, Faculty of Law, University of Copenhagen and Director of the international research network Reline for interdisciplinary studies in Language and Law. More recent and current research concerns cross-disciplinary studies of legal integration in Europe and combines theories of language, discourse, culture and law. Silvia Adamo is Assistant Professor at the Centre for Studies in Legal Culture, Faculty of Law, University of Copenhagen. Her research interests and publications revolve around migration law and citizenship law, including language requirements for migrants applying for citizenship, European Union law and the interaction between law and political philosophy on multiculturalism.